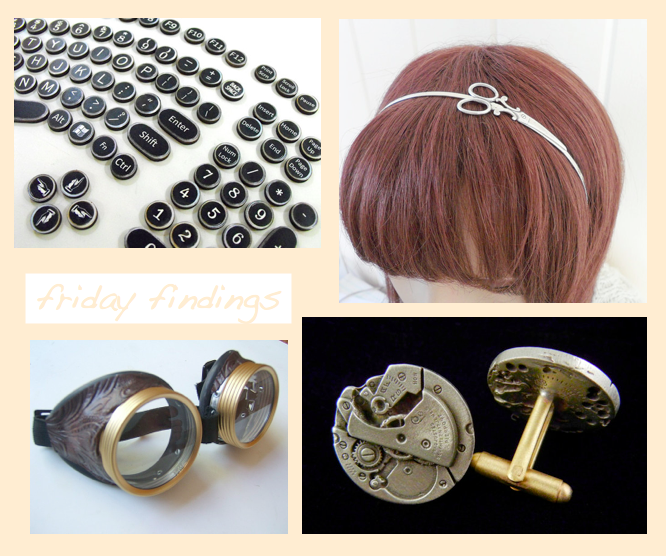 In honor of my lovely brother-in-law, who has encouraged me twice in the last two weeks to make steampunk-style electronics to sell, here's a collection of a few steampunk items for sale on Etsy! This is one of my staple recipes. It's easy to make from what you have at home, comes together in one pan, and is super delicious. 1. In a large skillet, heat the oil over medium heat. Add the sausage and onion, breaking up sausage with a spoon, until sausage is opaque and onion translucent, 3-5 minutes. 2. Add pasta, stirring until coated, 1-2 minutes. Add wine, stirring until absorbed, about 1 minute. 3. Add tomatoes. Simmer covered over medium-low heat until liquid is absorbed, about five minutes. Add water one cup at a time, waiting until the previous cup is absorbed before adding the next, stirring occasionally until pasta is tender, about 15 minutes. 4. Remove pan from heat. Stir in Parmesan, spinach, and butter. Season with salt and pepper. Serve. Rashida Coleman-Hale's next collection, Tsuru, is inspired by her childhood growing up in Japan. Tsuru is Japanese for crane. 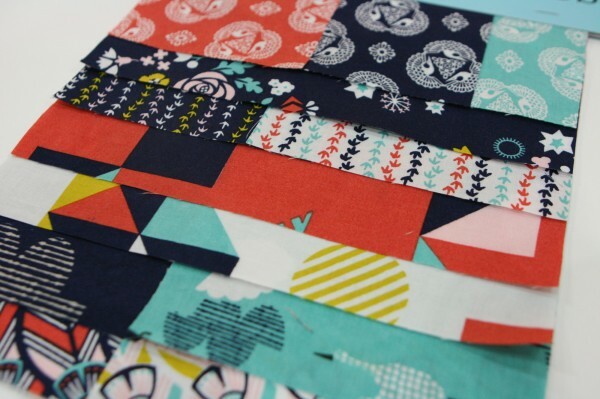 Just look at these beautifully coordinated oranges, blues, and yellows! The little birds' feet prints are my favorite, followed closely by the flying cranes and the flower print. So pretty! 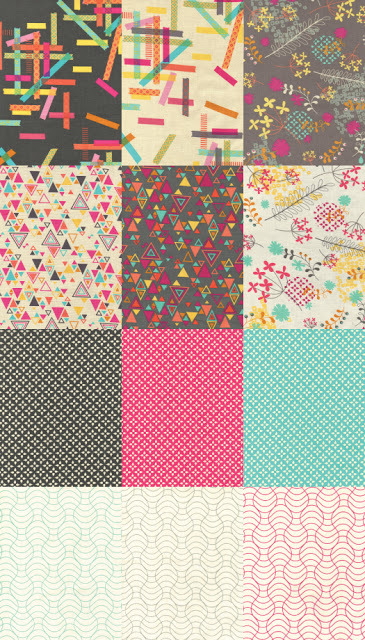 Rashida Coleman-Hale is already popular for her cute and fun Washi collection. 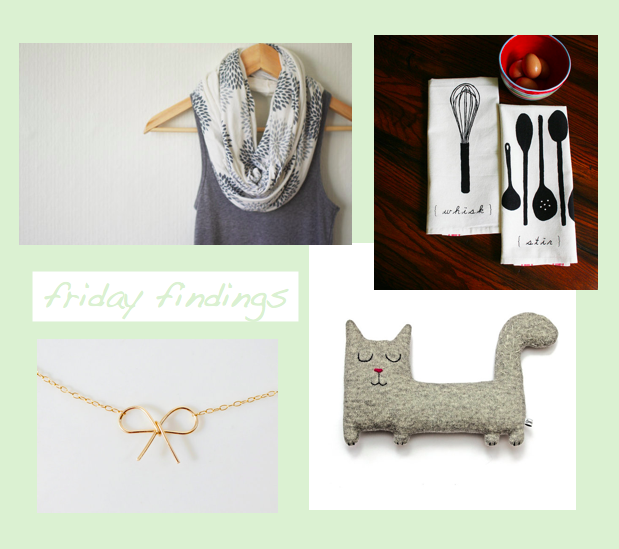 See more from the designer, see her blog, I Heart Linen. 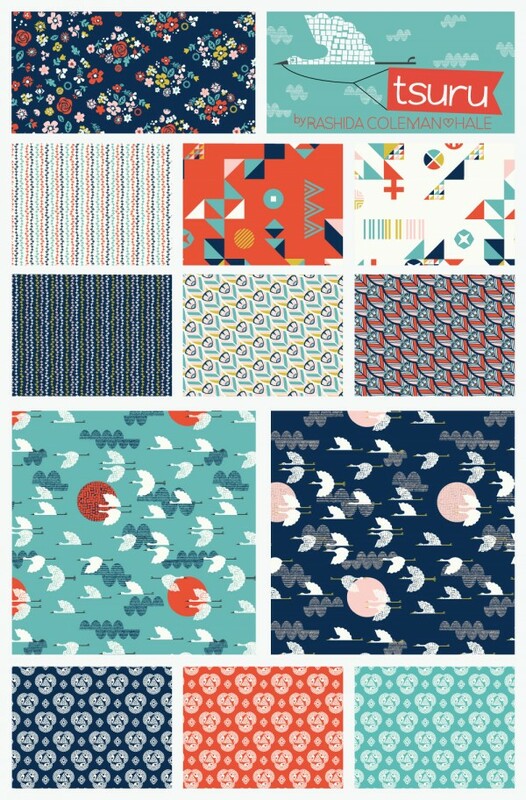 If you'd like to purchase Tsuru, visit Hawthorne Threads, search "tsuru" and you can enter your email to be contacted when it becomes available. I love me some Panera tomato soup. Every time I go there in the fall and winter, that's what I order. I've been looking for a good copycat recipe for a while, and hadn't found one until just a few weeks ago. When I was still in my apartment, I tried a recipe for this soup that called for, among other things, six cups of milk. Six. It was so gross that I still remember the milk content of the recipe. I wish I had photos of that soup to show you, but just picture salty (yes, I did try it) tomatoes floating in milk. Gross. Luckily for you (and for me! ), I came across this recipe from Running to the Kitchen. I can seriously vouch for this one .. I've made it three times already! 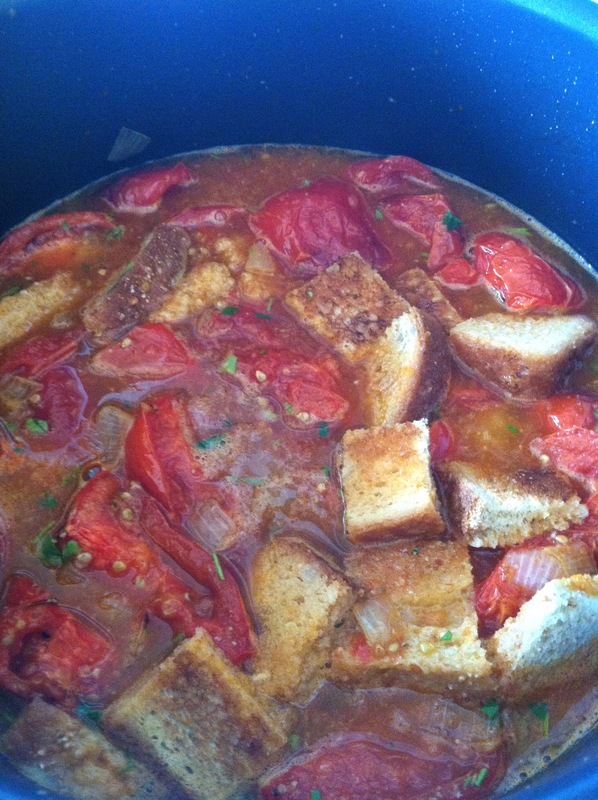 My encounter with this recipe luckily coincided with my fall tomato crop. This recipe also freezes well. Just freeze soup in freezer bags in two cup portions. Then set it on the counter about an hour before you're ready to eat to let it soften up, put it in a pot and heat it up! Super easy homemade soup anytime. 1. 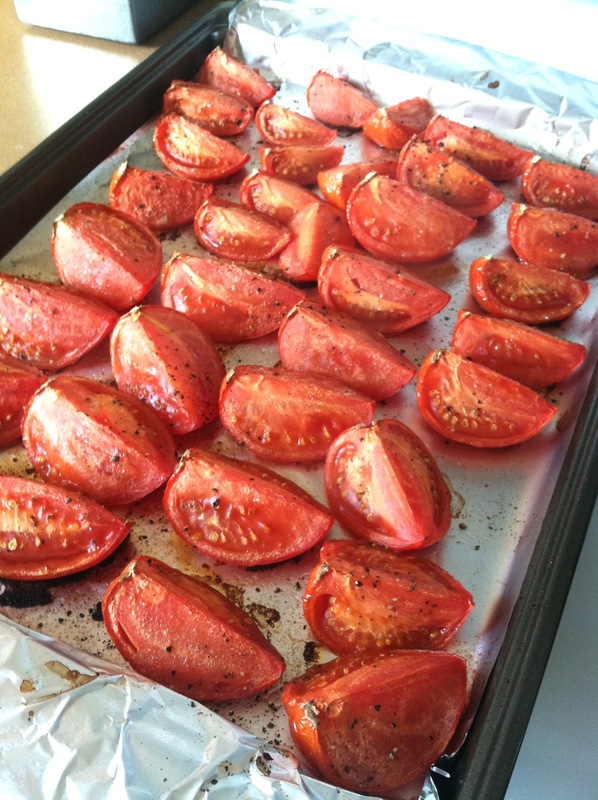 Preheat oven to 400 degrees F. Line a baking sheet with foil and place quartered tomatoes on the sheet. Drizzle with 2 tablespoons olive oil and season with salt and pepper. 2. Cut off top of head of garlic, drizzle with 1 tablespoon oil and place on the sheet too. Bake for 45 minutes. 3. While tomatoes and garlic are roasting, heat butter and 1 tablespoon olive oil in a large pot over medium heat. Add onions and garlic, and saute until softened, about 6 minutes. 4. When tomatoes are done roasting, add them and the garlic to the pot, and cook for five minutes. 5. Add parsley, tomato paste, vegetable broth, brown sugar, and bread. Simmer 20-25 minutes, stirring occasionally. Do not be afraid! This is what your soup will look like after step 5. 6. Add cream (or milk) and parmesan, and stir. Remove from heat, and blend with an immersion blender or in batches in a regular blender until creamy. There you go! Make yourself a grilled cheese and enjoy! If you don't know what to do with all that leftover tomato paste, freeze it! I made tablespoon-size blobs on wax paper and stuck them in the freezer. Once frozen, transfer them into a freezer bag. You can also do this with the heavy whipping cream, except use ice cube trays, of course! 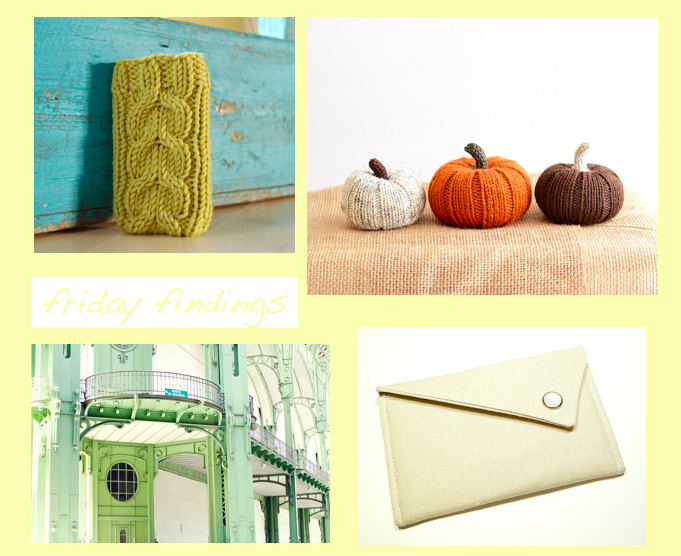 New little weekly entry on the blog showing some things I spotted on Etsy and happen to love! Enjoy!